Being in Korea, it's hard to resist the temptation of buying cosmetics - especially BB Creams. They are the base makeup that most Korean girls choose to use and the secret to their flawless, porcelain skin. BB Creams originated from Germany - as a way to protect patient's skin after surgery. It was then introduced into Korea and Japan in 1985 and since then, the Koreans have developed BB Cream to the point that it's one of the most well known products associated with Asian cosmetics. Its popularity has risen to the point that now even Western cosmetic companies are developing their own BB Creams for the Western market. 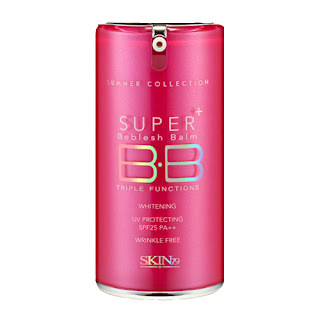 BB Cream is considered an all-in-one base product. It contains properties of certain skin care - serum, moisturiser - and properties of base makeup - primer, foundation and sunblock. BB Creams made by Korean cosmetic companies often have many other properties bundled into the creams such as whitening, anti-ageing and anti-darkening. BB Cream can be used to replace your everyday foundation or tinted moisturiser. It is best applied with the fingers since they warm up the product and makes the application extremely smooth as opposed to using a brush. After spreading it evenly on your face, you should pat your face gently to help smooth and fill in any fine lines you may have missed. Pressing your hand on your face helps the BB cream to smooth down on your face better too. 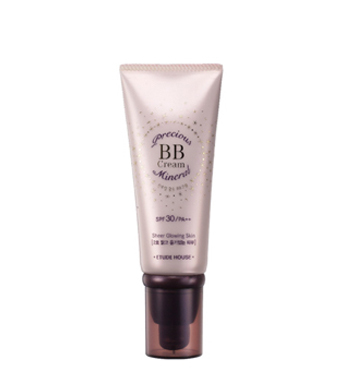 Missha's BB Creams were one of those who brought immense popularity to BB Creams - especially to the Western Asian market (Asians who reside in Western countries). Many may be familiar with the Missha Perfect Cover BB Cream - the one that comes in the red tube. In response to the popularity of this BB Cream, they released another BB Cream - M Signature Real Complete BB Cream. I own shade No. 23 which is also the shade I have for the Perfect Cover BB Cream. 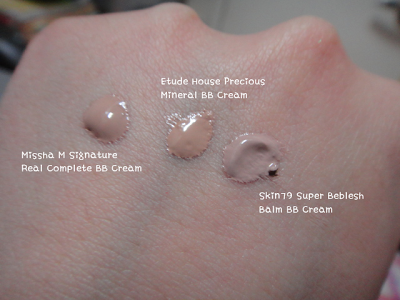 Of the three I'm reviewing, this matches my skin tone best (comparison swatches on my hand are at the end of the post). It has a slight grey tint, but like all BB Creams, it oxides after a couple of minutes. On application, it covers all my blemishes to the point I don't need concealer. However, that does not mean that you can't see my blemishes and flaws. This BB cream - like the Perfect Cover - has just the right amount of coverage so that I'm happy with how minimal my blemishes seem. It smooths out my skin around my nose and cheeks too. It looks excellent when applied. The finish is dewy and luminous - a very popular look these days. It does not look greasy at all. If you don't like that look, then you can always use a powder which can also prolong wear. However, this BB Cream breaks down the fastest of the three. I do get a decent amount of wear out of it, just not as long as the others. The shade range is also very limited. No. 23 is still a tad too light for my skin. Compared to the Perfect Cover BB Cream, this one is thinner but only slightly. And like all BB Creams, this one does have SPF 25 so it's not ideal for flash photography. However, I dislike flash photography with a passion. Unless I'm in a really dark place, I won't use flash photography. Etude House is another popular street brand cosmetic store. Their concept is very girly, princess-like. Their latest collection features Marie Antoinette inspired packaging (which looks totally gorgeous, but a little pricey for street brand cosmetics). Previous faces of Etude House include Park Shinhye, Jang Geunsuk and Lee Minho. Currently Sandara Park and Shinee are their models. The shade I have is No. 3 Natural Beige. It's more yellow toned than the M Signature BB Cream. It's lighter in shade and texture than the Missha. Because of this, it also has less coverage. If my under eye circles are dark, I'll use a concealer too. It lasts a decent amount of time but I usually like to use a powder on top ( Chanel Le Blanc Fond de Teint Compact) for more long lasting wear. This BB Cream offers four shades as opposed to Missha's two, which is a plus, however in terms of darker shades, there is only one. So the range isn't that huge, but it's better than nothing. The finish is slightly glossy as opposed to dewy. The difference isn't huge, but it's there. This Skin79 BB Cream is the most popular in their line. This product caused the second 'hype wave' for BB Creams in the community - especially on YouTube. It received very good reviews from most people. Originally, I was going to purchase this toward the end of my trip to bring back home, but there was a store in 이대 ( Edae ) that offered this for much cheaper than its retail price. I purchased it then and was so curious that I opened it. This BB Cream only comes in one shade. It is the lightest of the three BB Creams and also the thickest. It does oxidise after a few minutes but my face is still significantly lighter than my neck. The shade is slightly more pink too. I don't think the coverage is as nice as the Missha, but it is still very nice. The finish is lovely and it fills in any fine lines well. The pinkness actually gives me a really nice "glow" and I actually don't mind that the shade is too light. I would not recommend this to anyone who is tanner/darker in skin tone. I think they're all very nice BB Creams. If you are able to access Korean BB Creams and they're not too light for you, I would strongly recommend them! I am not a fan of the Western BB Creams despite them having a wider shade range. I don't believe they do the job as well as Korean BB creams. Korean BB creams are constantly being improved as they are a staple in most Korean girls' makeup routines. In fact, the choices in foundations are extremely limited and not as popular. I don't believe the Skin79 BB Cream deserves the level of hype it has received on YouTube. It's nice, sure. But if I were to choose one, I would pick either the Etude House or the Missha over the Skin79. Of the three, my favourite would have to be the Missha M Signature Real Complete BB Cream. The Etude House comes in at a close second. I would definitely repurchase them.